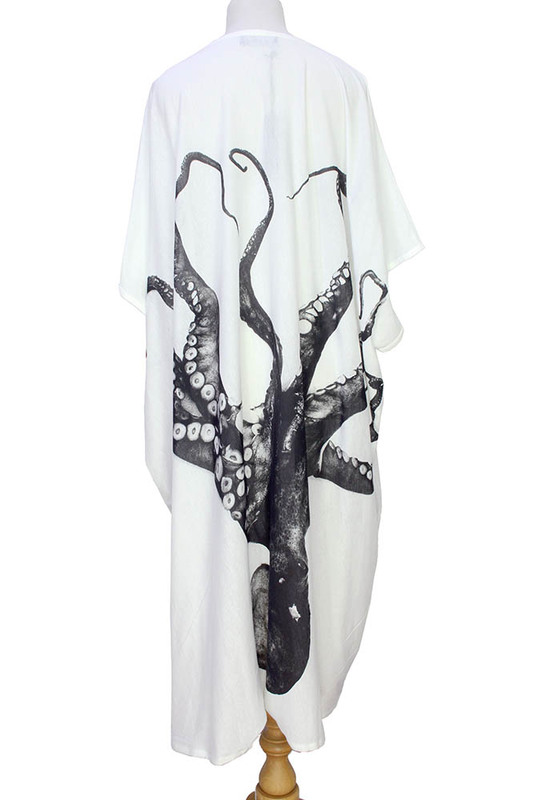 Barbara Bologna one-size, Print Tube Dress (oversized) in white. Octopus design on front. At the rear there is the same octopus design upside down. Round neck with trim. Sleeveless. A lovely, long, oversized simple dress.